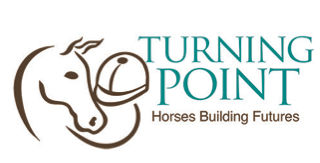 On November 3, 2018, we were so honored to host them at the barn to see changes that have turned the site of so many of their family memories into a working Therapeutic Horsemanship Center. The office, a classroom, an ADA restroom and concrete that turns the barn into a equine learning center look very different. But the big picture of their dad and his pet rooster Roho still watches over everything and they were glad to see the bronze plaque that commemorates their gift.